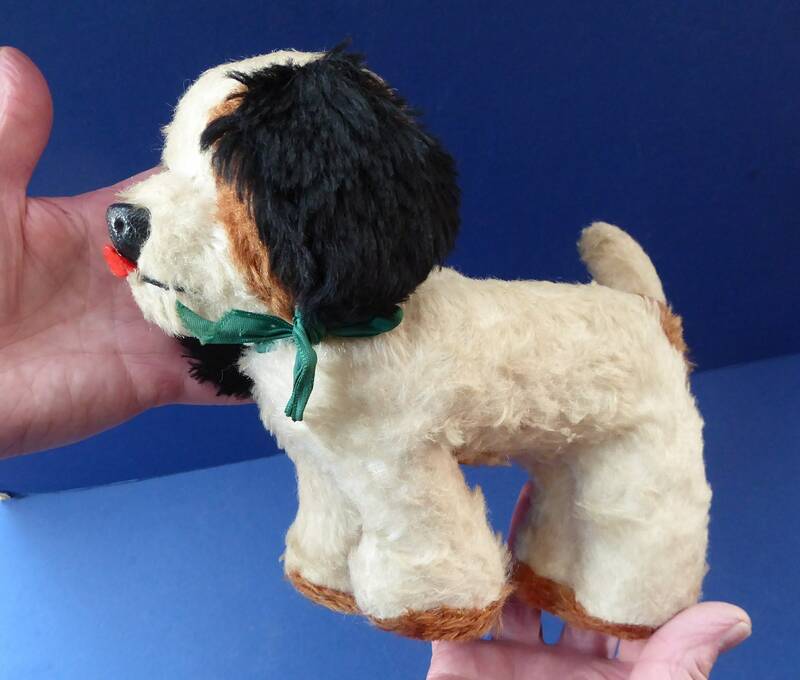 1950s British CHILTERN Doggie Soft Toy. Original Label. 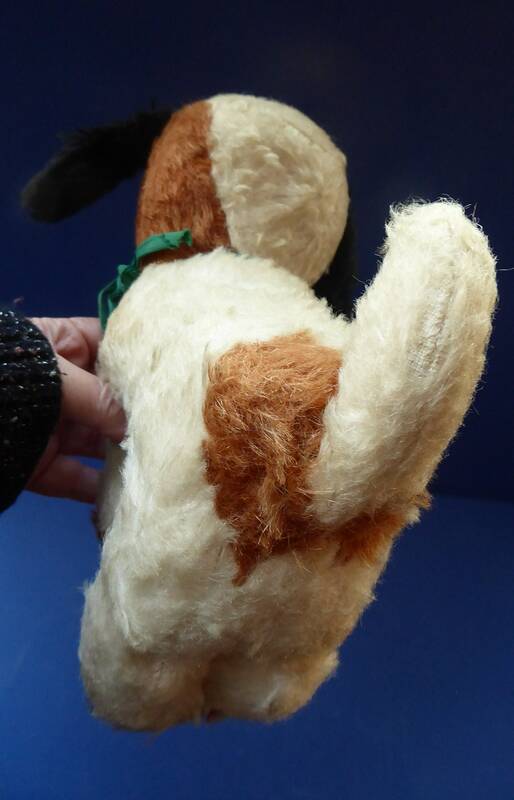 Mohair with Wagging Tail Action. Very Cute! 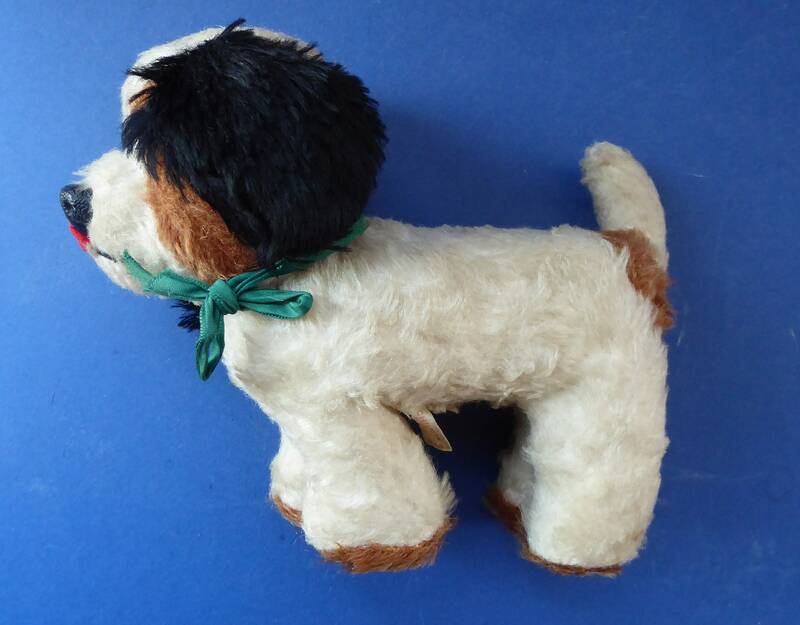 I love this little dog toy. He is uber cute. 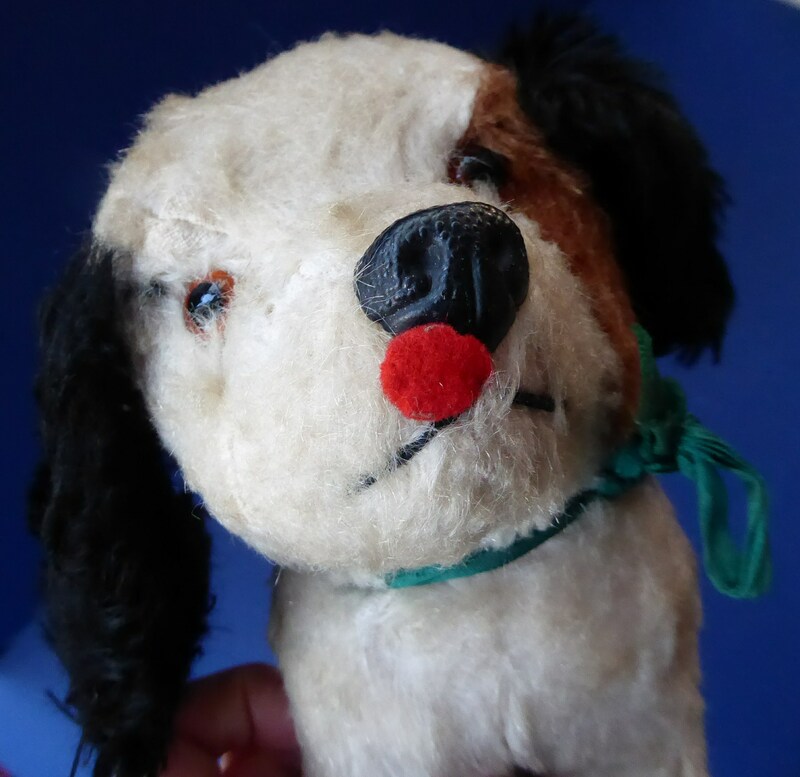 He dates to the 1950s and was made by Chiltern, England. 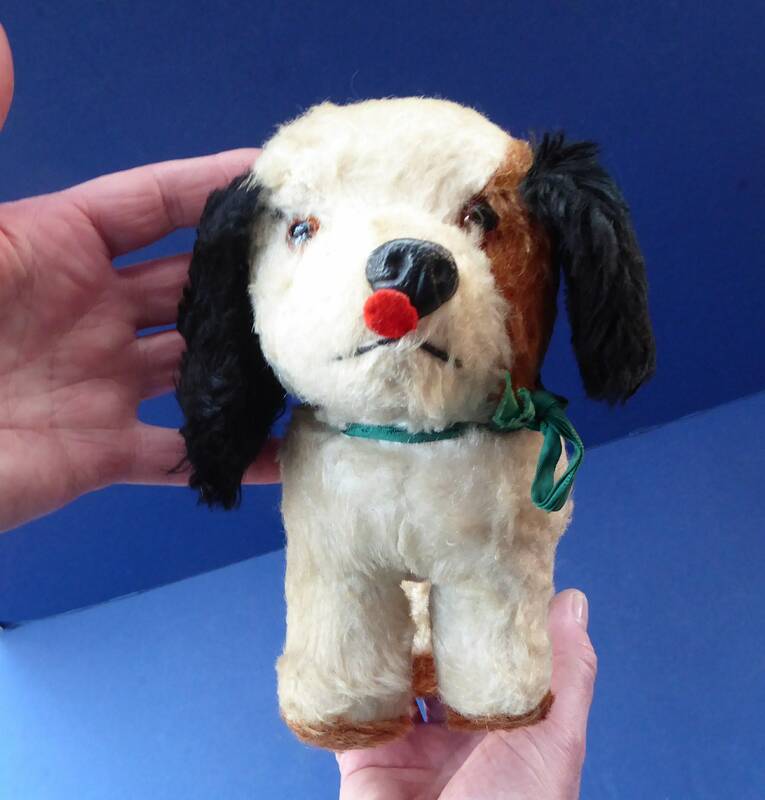 The company eas established in 1908 and they made their first teddy in 1915. 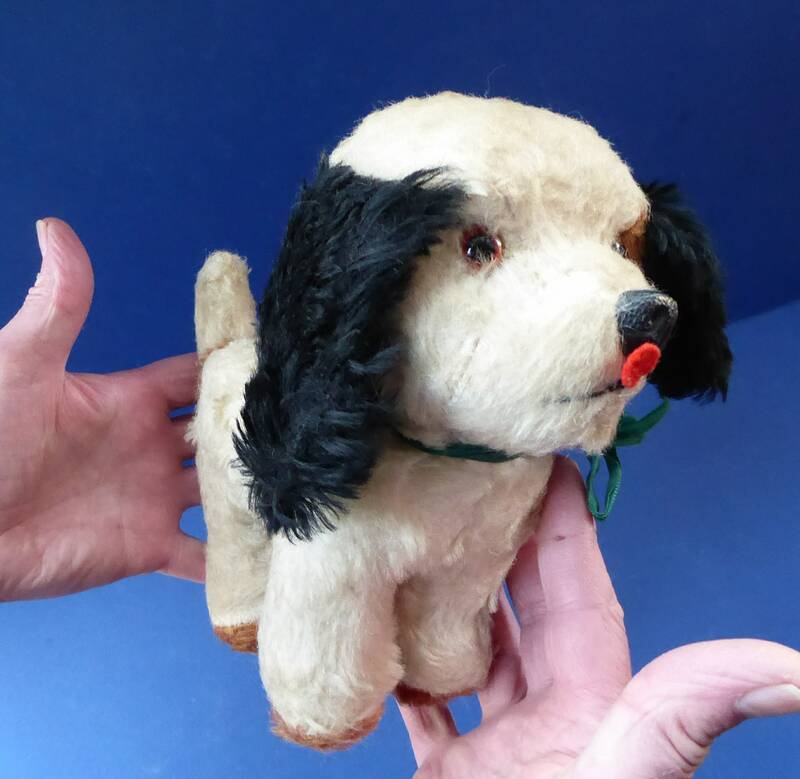 One of their most popular ranges was the Hugmee bears which were first introduced in 1923. 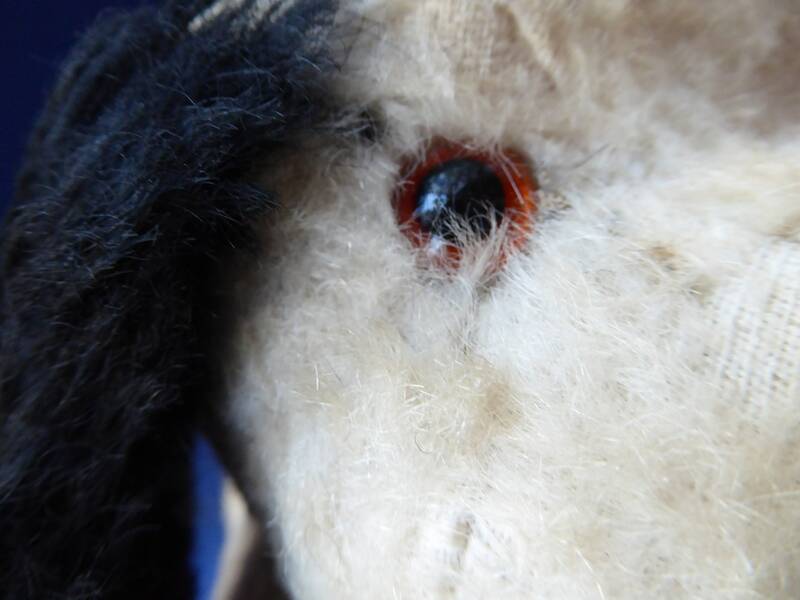 They made a selection of fine bears until the factory closed in 1960. 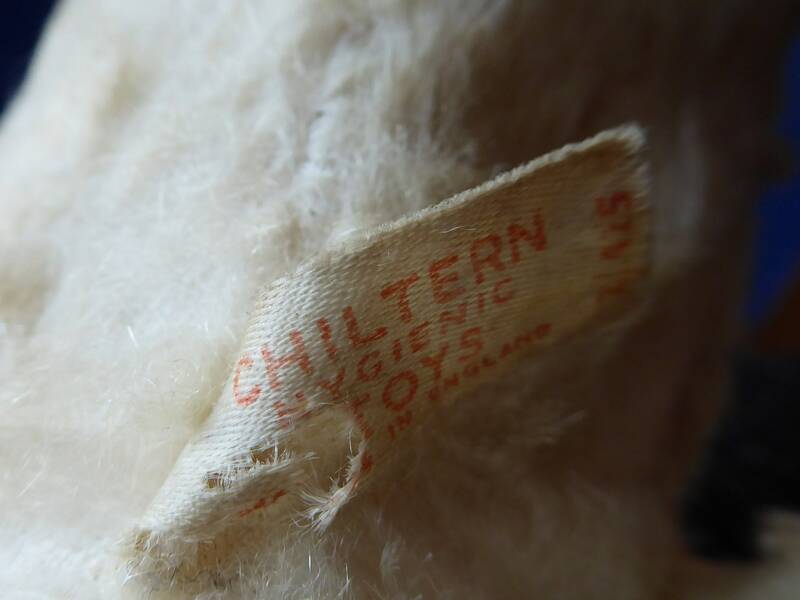 This one is identified as being a rarer Chiltern soft toy - by his label. My wee fellow is in pretty good vintage condition - nice and clean with no nasty smells - and not dirty. 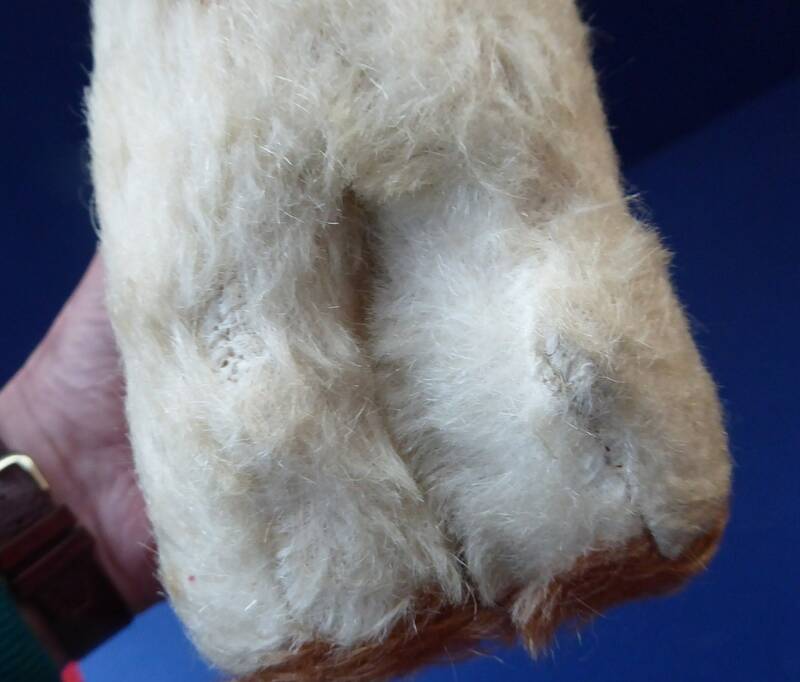 His fur made of mohair and it is generally all intact with no damages or losses. 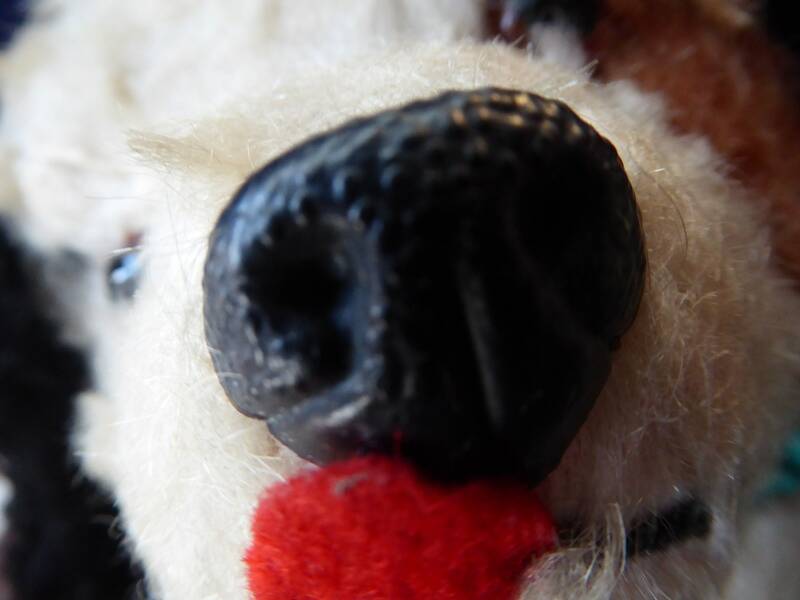 Nice face - glass eyes, plastic nose and still retains his original little red felt tongue. Dimensions: nose to tail is 9 inches. Height to top of head is 7 1/2 inches.